Made of high grade stainless steel blades that supplied to Germany market. Two blade sets with 4 blade types. 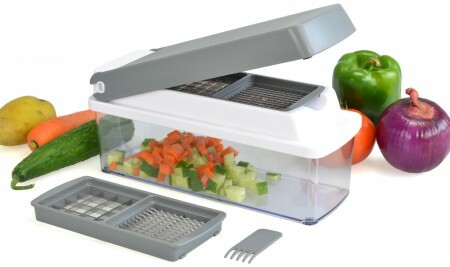 Surpahs multifunction vegetable cutter. Made with stainless steel cutting blade sets that supply to Germany market. Cut, chop, slice, dice fruit, vegetable, cheese in one easy swift motion.